Today's capture is a lifer for me. 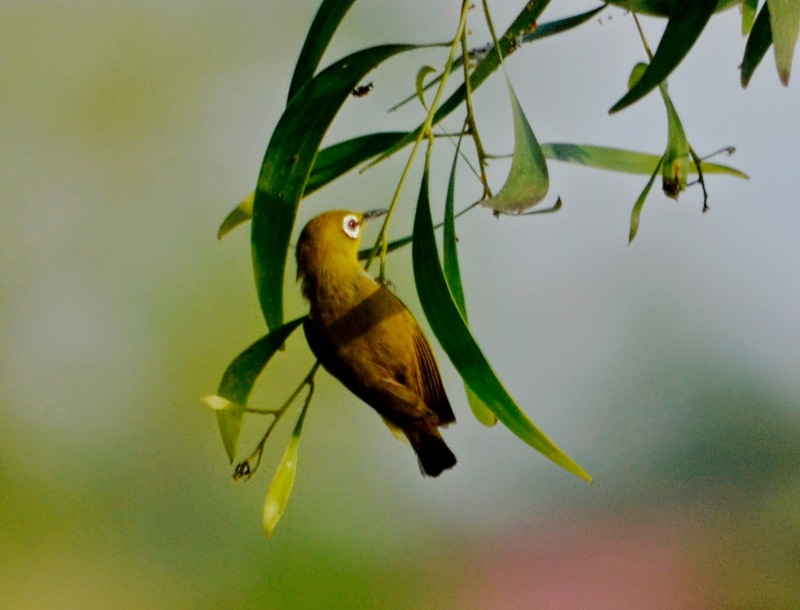 At the Pustaka Sarawak grounds I was able to have a good glimpse of the Everett's White-eye or in Malay - 'Mata Putih Belukar.' 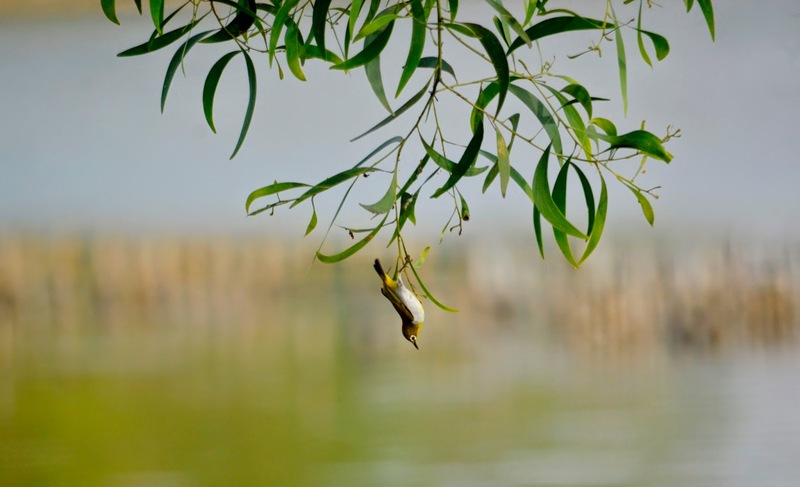 It was seen preying on some insects among the leaves of the Acacia auriculiformis growing by the side of the big pond. 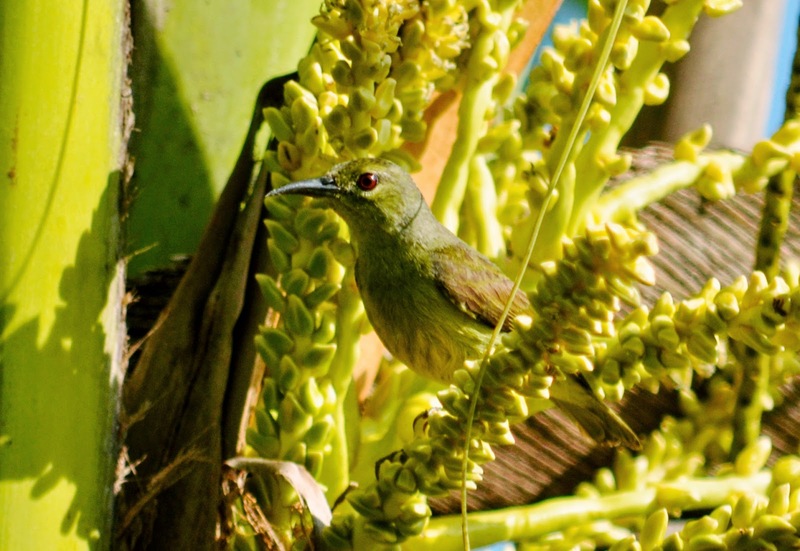 The most distinguishing feature of the bird is the big round white eye-ring. At another location in the the surrounding greenery I stumbled upon a Common Iora guarding its nest. 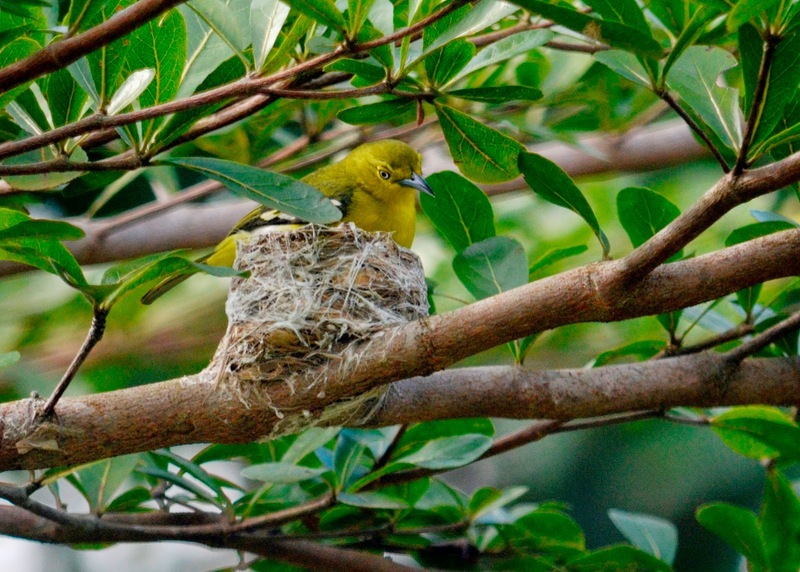 It is also the first time I come across the nest belonging to the Common Iora in plain sight. 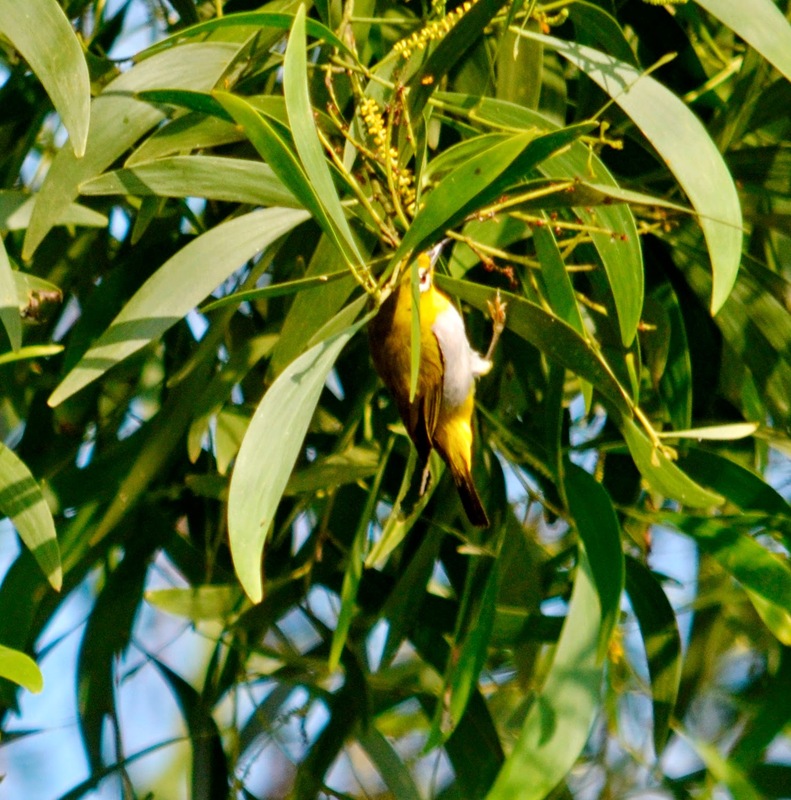 A few hundred meters away I managed to have a good view of the female Olive-backed Sunbird finding food at the coconut inflorescence. 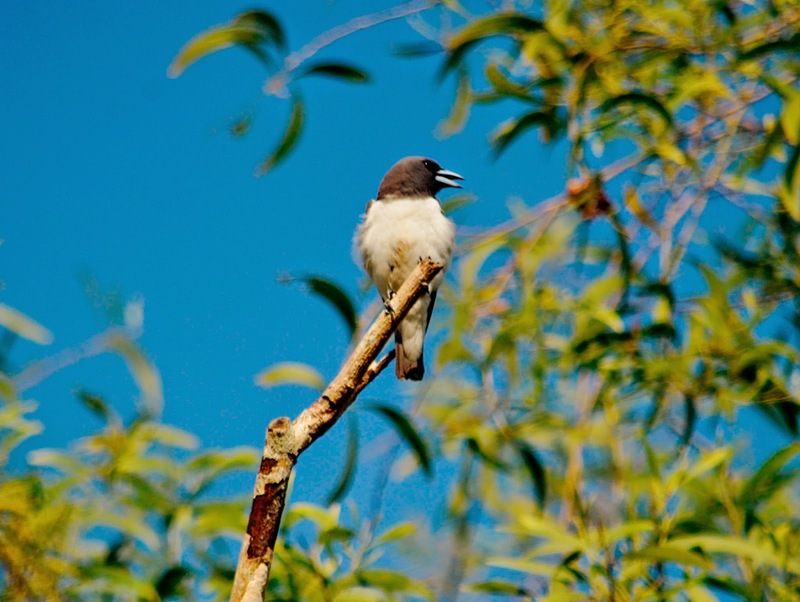 Finally, to end the afternoon adventure I met a White-breated Woodswallow perching on a dead tree stump near the pond. The afternoon was well-rewarded I thought, in view of the fact that I brought along my camera for only about less than a hour's walk around the library grounds (4.30 - 5.00 pm). Common garden birds at the Reservoir Park, Kuching.